As the crisp, cool weather of fall rolls in, I'm starting to think soup. However, since the markets are not entirely devoid of summer veggies (e.g. zucchini, yellow squash, colored peppers, etc.) 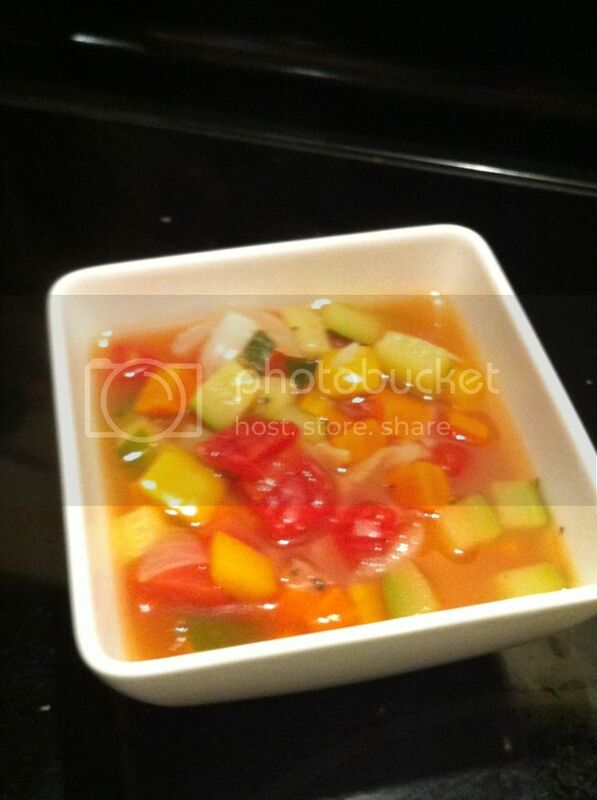 and since I had quite a few veggies that were aging, last week I decided to whip up a quick vegetable minestrone. 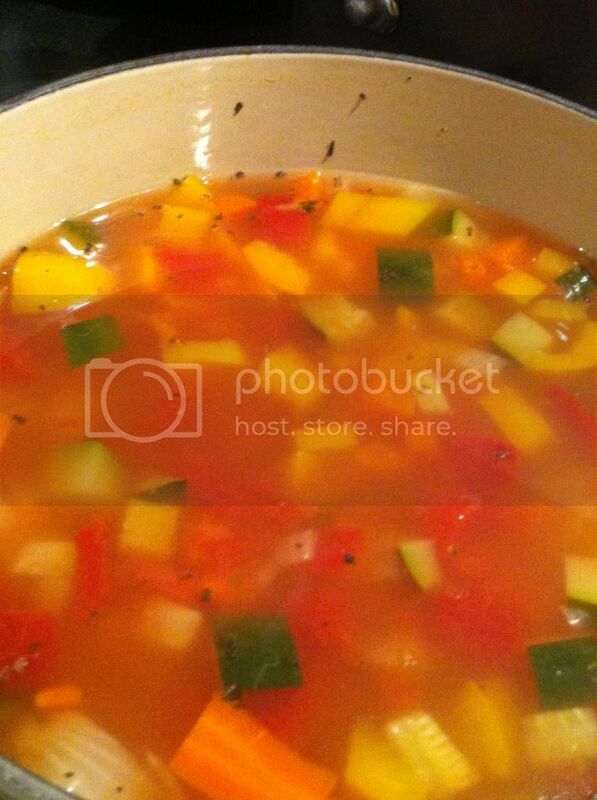 (Note: Most minestrone soups have beans, but I wasn't in the mood. However, this would be great with some northern or navy beans.) Though I looked at quite a few recipes, I really just threw everything in a pot and kept seasoning until it tasted good. *I eyeballed the measurements. Alternatively, use 1 tsp Italian Seasoning. Saute onions and carrots in olive oil until tender. Add mushrooms and cook until liquid has evaporated. Cover and simmer on low for 20 minutes or until pasta is tender.